In ‘Make music visible’, in Eye 76, the music design special issue, we spoke to Big Active’s Gerard Saint about the future of music design (see ‘Make music visible’). Saint has found that contemporary music design faces some interesting problems. 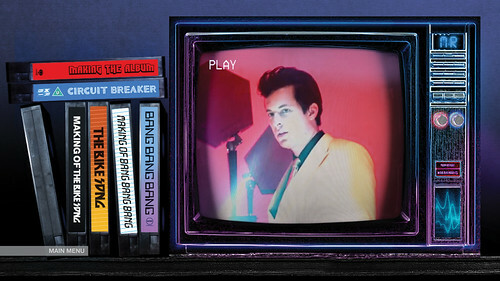 Top and below: Assorted interactive screens from Mark Ronson’s interactive iTunes album, designed by Big Active. In the Eye interview, Saint describes Big Active’s approach to music design as an exercise in ‘creative management’. That is, putting together an integrated campaign which covers everything from album art and promotion to merchandising and the live experience. 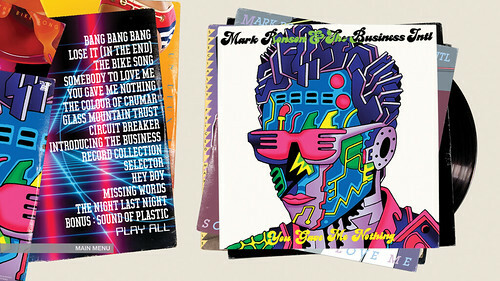 And for their recent work with Mark Ronson, Big Active have been exploring the iTunes Album format (out now!). ‘The iTunes Album is basically an interactive format that you download as the digital version of the album,’ explains Saint. 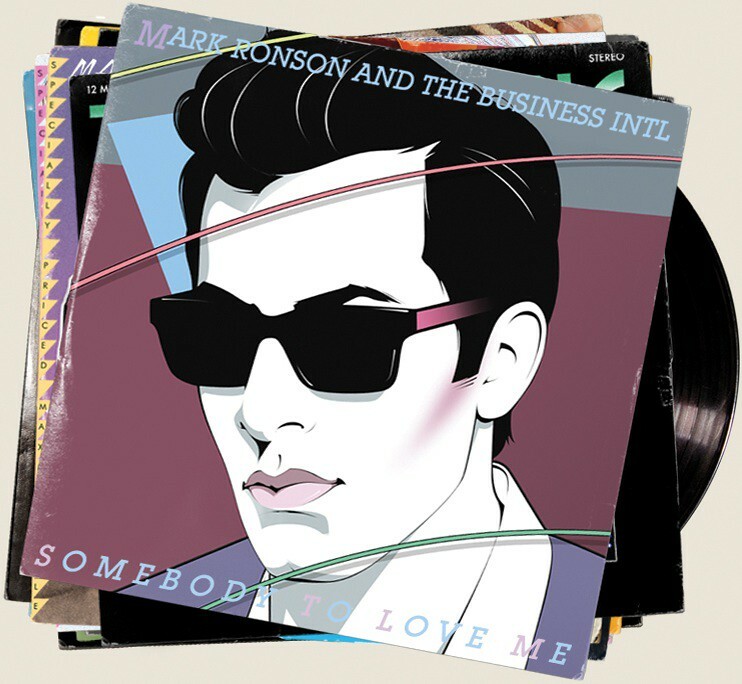 ‘It functions something like a micro site giving the listener access to all of the music plus extra tracks unavailable on the physical formats, additional content including photos, video galleries, making of interviews, biogs, lyrics, etc., and hidden content that the listener can discover by playing with the material. 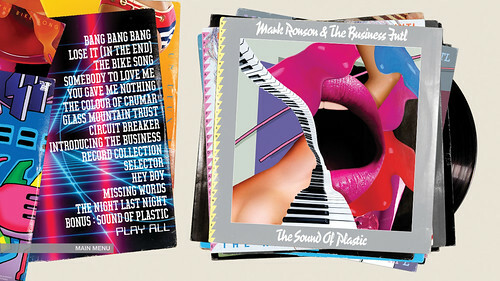 Big Active created graphical record sleeves for all of the recorded material and information, aiming for an experience that is like ‘having a flick through Mark Ronson’s record collection’. With all the technological advances we’ve had in recorded music, it’s nice to see the vinyl form living on – even in the most modern of formats. 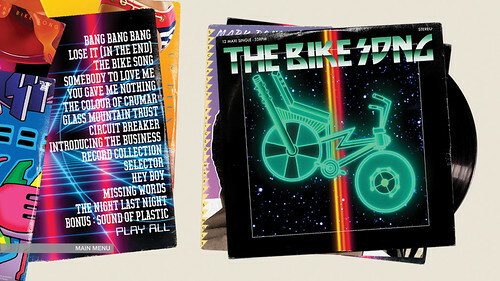 For designers, musicians and listeners, the twelve-inch sleeve lives on as one of music’s most popular metaphors. More about the agency at www.bigactive.com. More about sound and vision in Eye 76, our Music design special issue. Eye is the world’s most beautiful and collectable graphic design journal, published quarterly for professional designers, students and anyone interested in critical, informed writing about graphic design and visual culture. It’s available from all good design bookshops and online at the Eye shop. For a taste of the latest issue, no. 77, see Eye before you buy on Issuu.